Item # 316813 Stash Points: 2,995 (?) This is the number of points you get in The Zumiez Stash for purchasing this item. Stash points are redeemable for exclusive rewards only available to Zumiez Stash members. To redeem your points check out the rewards catalog on thestash.zumiez.com. 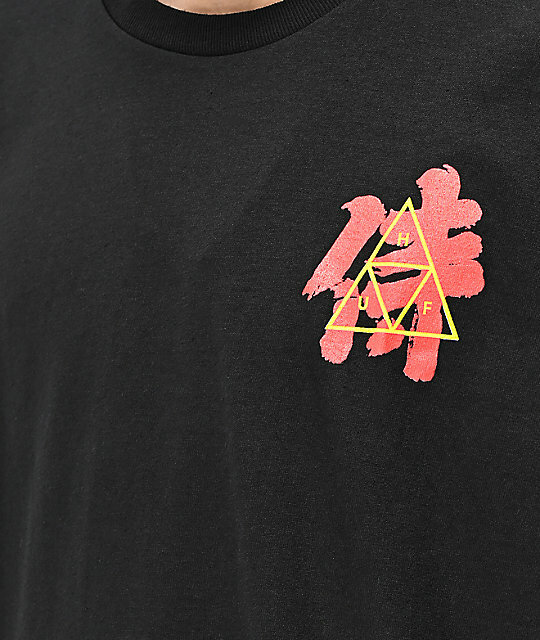 Whether you're a streetwear fan or seeking to upgrade your skate-inspired outfits, HUF's Disaster Forever 2 Black T-Shirt has got you covered. 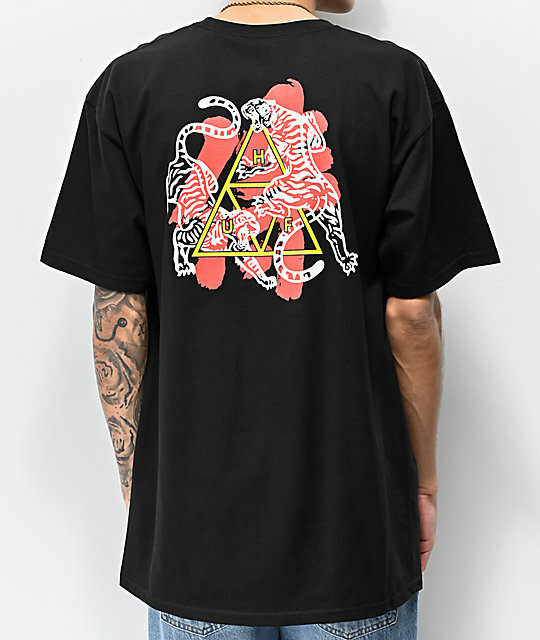 Upon the left chest is HUF's signature triangle logo graphic overlaid upon bold Kanji; an image that's also found on the back but accompanied by two ferocious white tigers. 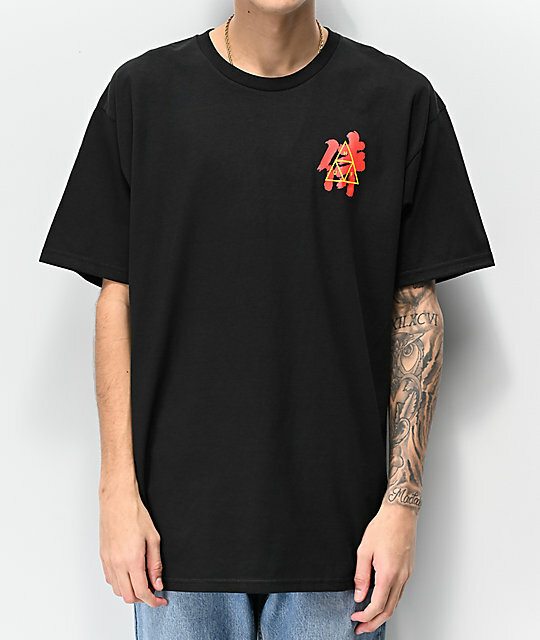 Disaster Forever 2 Black T-Shirt from HUF.